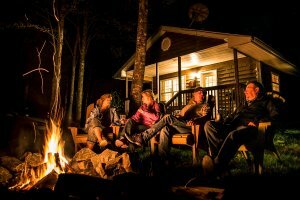 We invite you to stay in one of our cozy and comfortable cottages located on the bank of the Shubenacadie River. 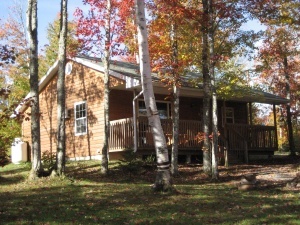 There are 8 one bedroom cottages available, each equipped with a queen-size bed, and two 2-bedroom cottages. 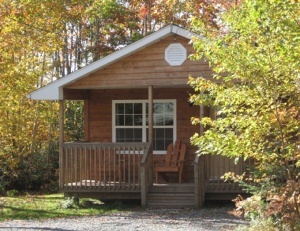 Our 1 bedroom cottages will comfortably sleep 2, children under 12 stay free. Extra people $20 per person. Each 2 bedroom unit will comfortably sleep 4; rates are based on a four-person occupancy. Each bedroom has a double bed. Extra people are charged at $20 per person, per night. Children under 12 stay FREE. Cots, playpens and highchairs are available. Daily light housekeeping is provided upon request.